For well over 100 years Kaweco has been designing and manufacturing their brilliant range of writing instruments in Germany. 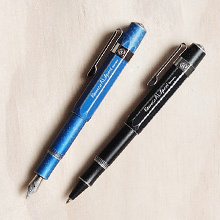 These pens feature distinctive designs and classic styling, with periodic new releases that keep the ranges fresh. High quality components, extensive experience, precise attention to detail and a wonderful blending of classic and contemporary styling are what set Kaweco apart. 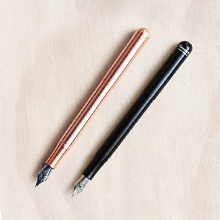 First designed in the 1930s, the Kaweco Classic collection references the beautiful styling of this original pen. This is a compact, reliable pen with an excellent vintage-meets-contemporary look. Designed to be small in the pocket yet very comfortable in the hand when writing, this collection perfectly reflects the Kaweco aesthetic of traditional components with contemporary styling. Building on the Sport collection, this aluminum version offers a more substantial weight and feel when writing, with the same portability and quality as the Kaweco Sport. The Kaweco Liliput is the ideal traveller’s fountain pen – compact, thin, lightweight and incredibly smooth to write with. 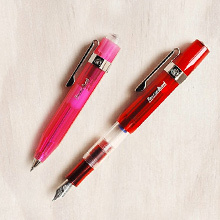 This comprehensive writing brand Fountain pens, rollerballs, ballpoints, mechanical pencils, calligraphy sets and inks. Telegram Co. is the official, exclusive distributor for Kaweco in Australia and New Zealand. 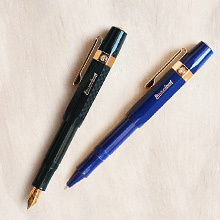 Interested in stocking Kaweco? Please complete our retail partnership enquiry form.